Lapland has five airports which are Enontekiö, Ivalo, Kemi-Tornio, Kuusamo, Kittilä and Rovaniemi. Check out the infographic below for more details how passenger traffic varies from airport to airport during 2007-2017. 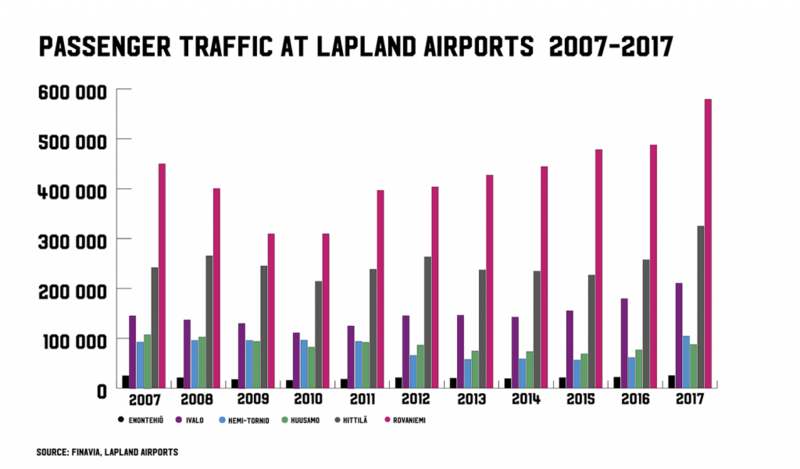 View a full-sized version passenger traffic at Lapland airports.